Today, more than ever, warehouse management systems are critical to effectively manage your supply chain and achieve peak performance. By implementing the latest technologies in your warehouse, you can significantly improve warehouse operations, employee productivity, and customer satisfaction. S2K Warehouse Management Software (WMS) will allow you to monitor warehouse activities in real-time, minimizing entry errors, and help you measure the efficiency of your warehouse employees. This powerful application provides both paper-based and radio frequency processing for inventory receiving, movement and replenishments, product put-aways, order picking, shipment verification, cycle counting, and much more. An effective receiving process is critical in understanding what items are in your warehouse, what quantities are available, and where they are located. S2K WMS automatically matches the items being received to your purchase order or container to verify that the correct items are being received. Lots and serial numbers can be recorded, and item bar code labels can be automatically generated for products without bar codes. For bulk receiving, the system can print a pallet license plate for easy tracking of pallet movements. Using fixed or random bin logic, and based on a myriad of user defined parameters, the system will then automatically assign a put-away location. For picking and shipping, S2K WMS contains an advanced Order Manager module that allows warehouse managers to view and release sales orders and warehouse transfer requests for either individual or wave picking. It enables users to view selected orders and group them for efficient picking based on a wide range of sort options. 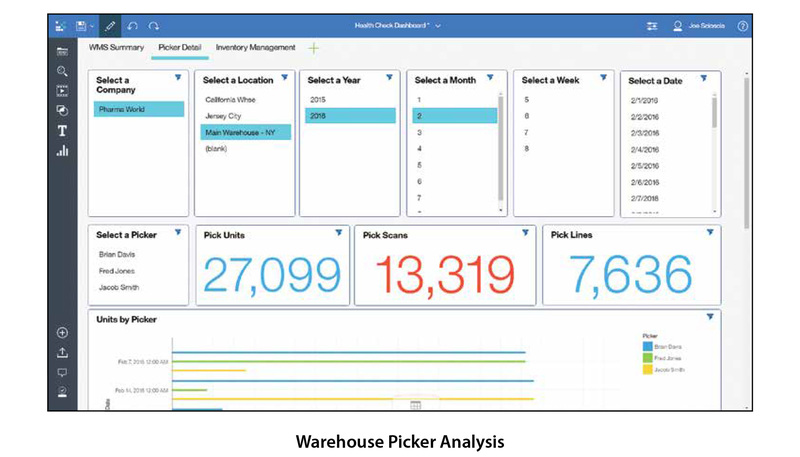 Once released to the warehouse, this module gives warehouse managers the ability to review picking in progress and analyze performance by area, zone and picker. For shipment verification, S2K WMS allows the user to verify the items picked against each customer order. For pick and pack operations, shipment verification allows the user to track which items are in a specific box. As each box is filled, the system will produce a shipping label that can be scanned and integrated with common carrier parcel systems such as UPS Worldship, or Fedex so users can track weight, freight charges and tracking numbers. Integrated EDI features provide automatic UCC-128 label printing and electronic advance ship notices. S2K WMS allows users to manually request bin replenishments or set specific times throughout the day for this activity. The results, when implemented and executed correctly, are money and time saved in fulfillment and production. Warehouse transfers can be automatically or manually created for both inter-location and inter-company transfers. Suggested transfers are based on the usage, transfer lead time, and minimum requirements of each location. Cycle Counting and Physical Inventory applications provide management with tools to control and gauge the accuracy of current inventory records. Automatic cycle counting takes place continuously based on the cycle class code assigned in the item master file. The cycle count process writes transaction records, prints count sheets, allows RF-based counting and produces variance reports. Full physical inventory counting is supported using wireless terminals or count sheets. Detailed inquiries display all counting activity and variances reported.